Christmas lights are number one in creating a festive mood, and even if there are no other decorations, these lights will make you think of Christmas. 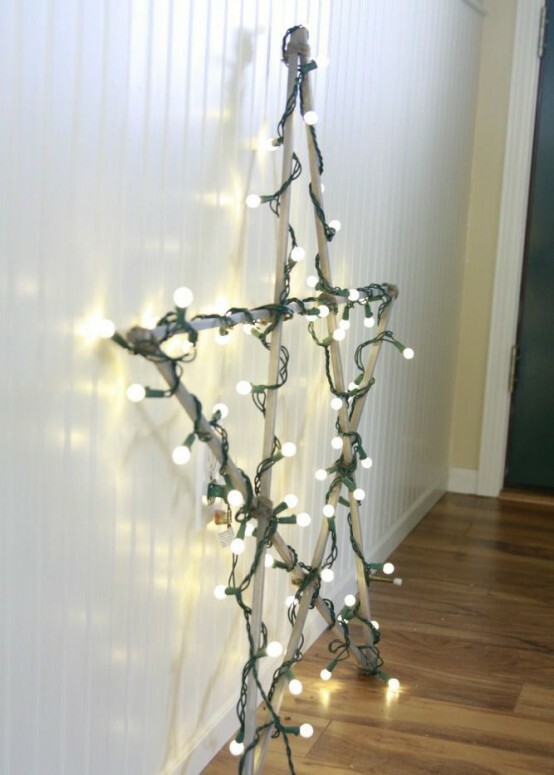 We usually put them on the Christmas tree but there more ways to use them in décor. You can hang them above the windows, doors, in your hallway and on your stairs – your space will sparkle with lights! Make easy lights lanterns or wreaths for indoors, it’s a very original way to decorate with them and looks absolutely fabulous. Decorate your mantel with lights, it looks very holiday-like: letters made of lights or just lights on your mantel is so easy-breezy to make and so cool! Get more inspiration below!